Moose, Wyoming – Located in the Northwest corner of Wyoming lies a beauty that rises majestically above the valley floor – Grand Teton National Park. 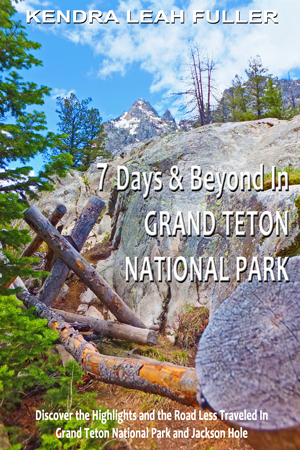 If you’re looking for a place to take your summer vacation or planning a family reunion destination, Grand Teton National Park is the perfect Destination Relaxation. You’ll enjoy the peaceful tranquility of majestic mountain views, crystal clear lakes and mild summer climate. In addition to fishing, hiking, river rafting and abundant wildlife, you’ll enjoy fine dining, spa treatments and more. 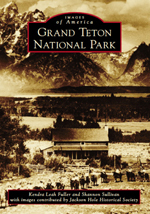 Towering more than a mile above the valley of Jackson Hole, the Grand Teton rises to 13,770 feet. 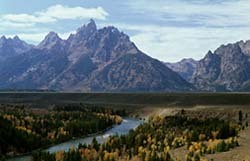 Twelve Teton peaks reach above 12,000 feet and support a dozen mountain glaciers. This nature lover’s paradise is home to many species of wildlife and birds. Visitors who take the time to hike the mountain trails will discover the many hidden attributes of the park. With over 200 miles of mountain trails, these excursions range from easy, brief hikes to strenuous backcountry day trips. Hikers should be aware of the rapidly changing weather conditions and pack gear accordingly. Surprise snowstorms can occur September through June and afternoon rain showers during the summer months are a common occurence. 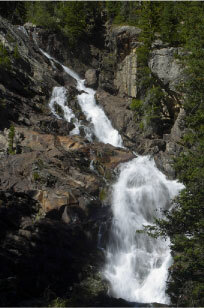 One popular trail in the park takes the hiker to Hidden Falls (left) via a moderate, mostly flat two-mile hike around the south end of Jenny Lake. From there the trail climbs steeply for about a mile to the mouth of Cascade Canyon. Then the route flattens and once again offers easier hiking for the next several miles. Park for this trip at the Jenny Lake Ranger Station on the east side of the lake. If you prefer, a boat shuttle carries hikers across the lake every 15 minutes from 8 a.m. to 6 p.m. daily, dropping you within a half mile of Hidden Falls. Click Here for an excellent listing of area trails, difficulty, length and suggested gear. The 2 mile Colter Bay Nature Trail is a relaxing walk providing beautiful views and the chance to see various wildlife including these trumpeter swans below. Yellowstone National Park is just a short drive away and no trip would be complete without a visit to Old Faithful (right) and Yellowstone Falls (left). Old Faithful was named for its regularity. On average it erupts every hour, lasting from two to five minutes. The grand eruptions vary between 110 and 180 feet – that’s 11 to 18 stories tall. 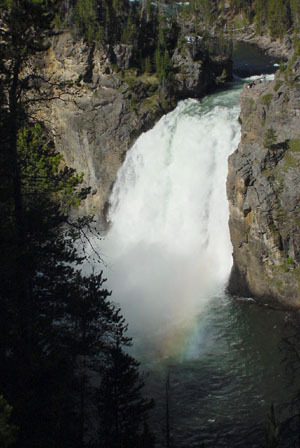 The Upper and Lower Yellowstone Falls plunge over 400 feet to the flooor of the Grand Canyon of the Yellowstone. This is truly a magnificent site, one you won’t want to miss. There is so much more to see and do in Yellowstone, that you’ll want to set aside a whole day for a scenic driving trip through the park. Plan to stop frequently to take pictures or wait for wildlife to cross the road! 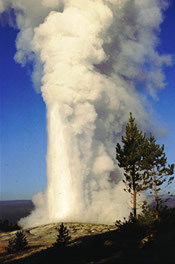 Old Faithful’s intervals between eruptions vary from 30 to 120 minutes, averaging pretty close to an hour. 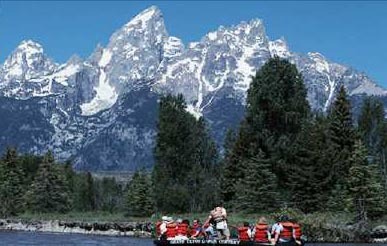 Enjoy a gentle ride down the Snake River past some of the most beautiful scenery in the United States. Keep your eyes open for moose, elk and other wildlife. Bird life abounds with eagles, hawks, storks, herons, and migratory birds flying alongside the raft. The water of the Snake River are so clear, you’ll see trout swimming below! For the more adventurous at heart, head down to Jackson and take a White Water Rafting trip through the canyons! For a feel of the real West, try a guided horseback rides of varying duration through Grand Teton National Park. Breakfast, dinner and wagon rides are also available. Golf & Tennis Round out your vacation at Wyoming’s top-ranked course – the Jackson Hole Golf & Tennis Club. Enjoy a breakfast of lake trout, scrambled eggs, flapjacks and more, cooked over a campfire in this beautiful setting. Choose from a narrated scenic cruise, a breakfast cruise, or an evening cookout on Elk Island in the middle of Jackson Lake. Home to Cutthroat, Brown and many Lake Trout, a guided fishing trip on Jackson Lake is an experience of a lifetime! Experienced guides can also take you fly fishing on Snake River. Whether you’re looking for the luxurious or the rustic, there are many different places to stay in the park that will suit every style. A personal favorite is Jackson Lake lodge due to the wonderful accommodations, fine dining, reasonable rates and convenient location to Yellowstone National Park. Tucked along the shores of Jackson Lake, the Colter Bay Village is just that, a whole village. 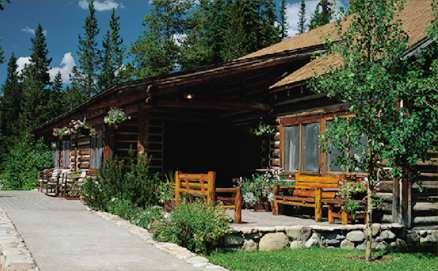 Accommodations range from cabins to an RV park. Cabins do not have televisions, radios or telephones. 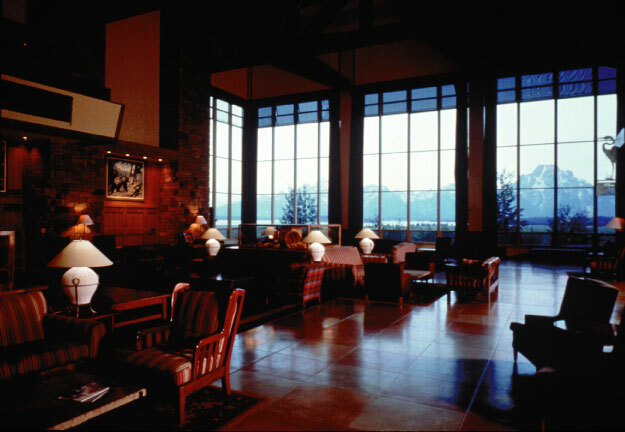 The Signal Mountain Lodge has become my personal favorite simply because it is the only lodge right on the shores of Jackson Lake. The Lakefront Retreats are the only rooms with a view but any location on the property is just a short walk down to the beach and marina. The property features two restaurants, a lounge, convenience store, and gas station. 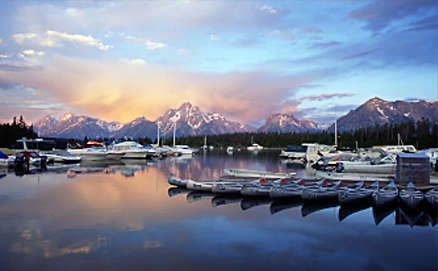 Spend time unwinding on the deck outside the restaurant overlooking the Tetons reflecting on Jackson Lake. Located in the heart of Grand Teton National Park. I hope you enjoy your stay in Grand Teton National Park! Come back to reality refreshed and relaxed with many wonderful memories to savor for years to come. This entry was posted on Thursday, February 6th, 2014 at 10:30 am	and is filed under Grand Teton National Park, Travel Articles. You can follow any responses to this entry through the RSS 2.0 feed. You can leave a response, or trackback from your own site.